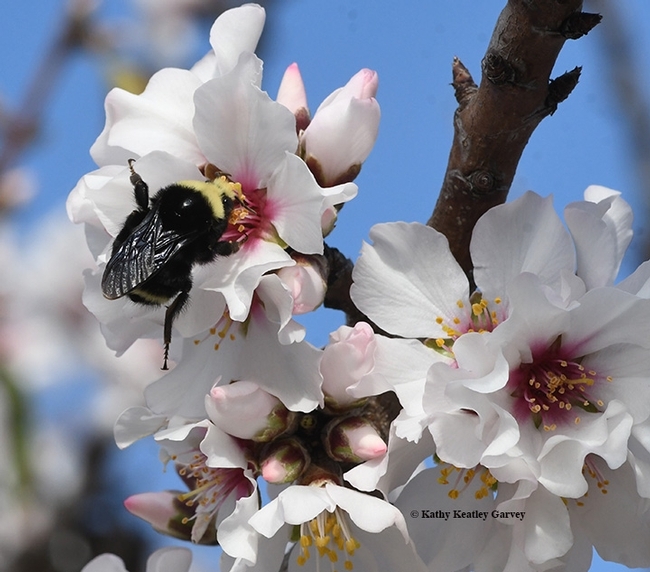 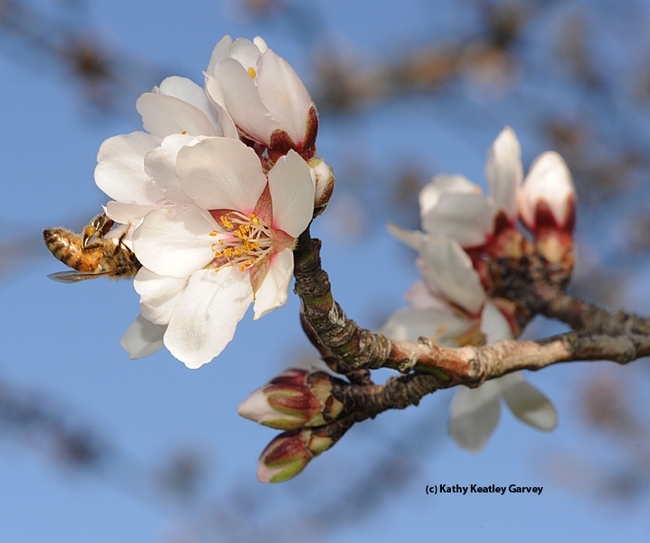 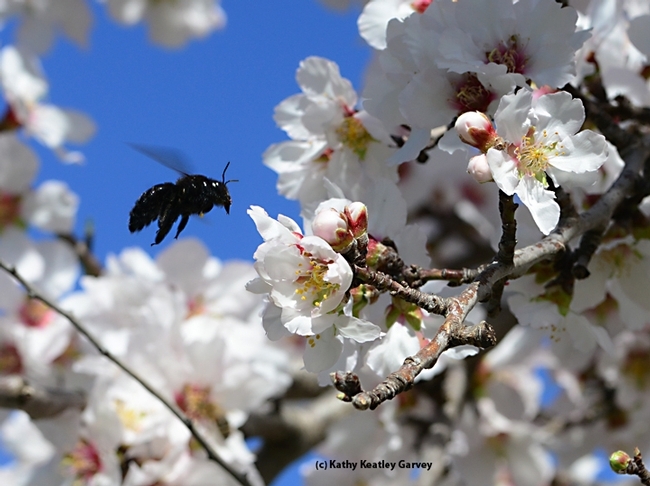 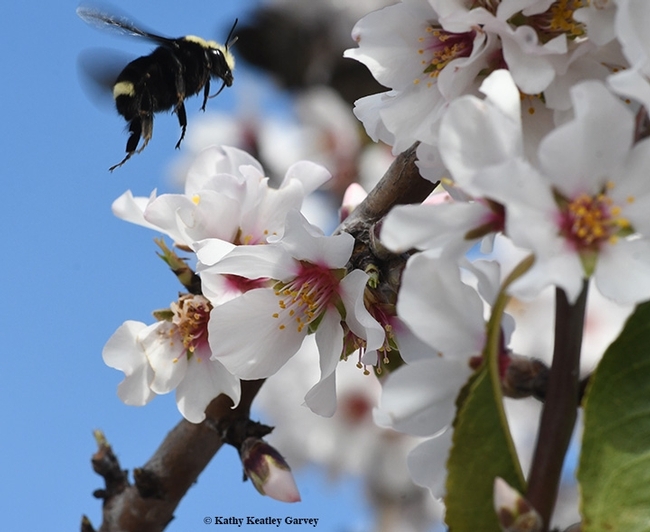 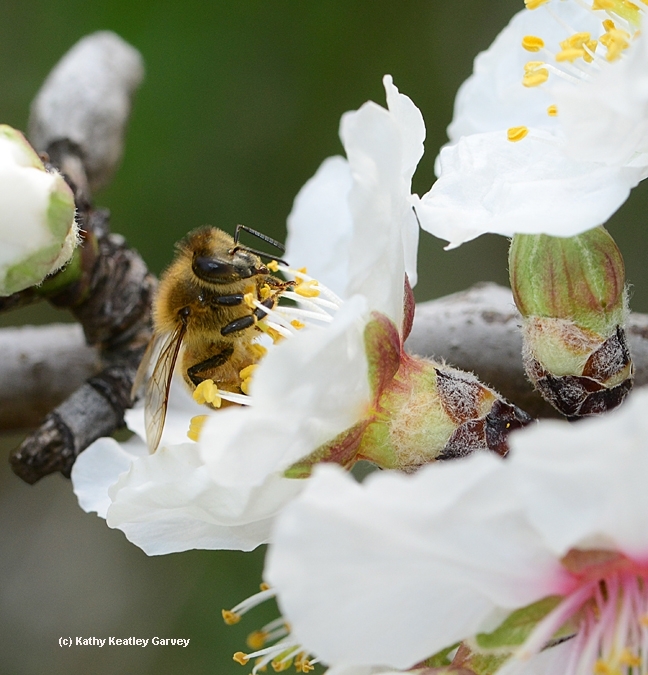 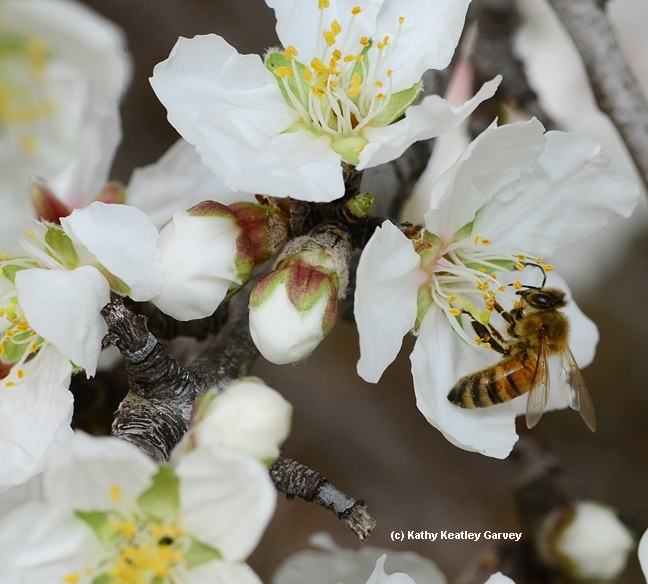 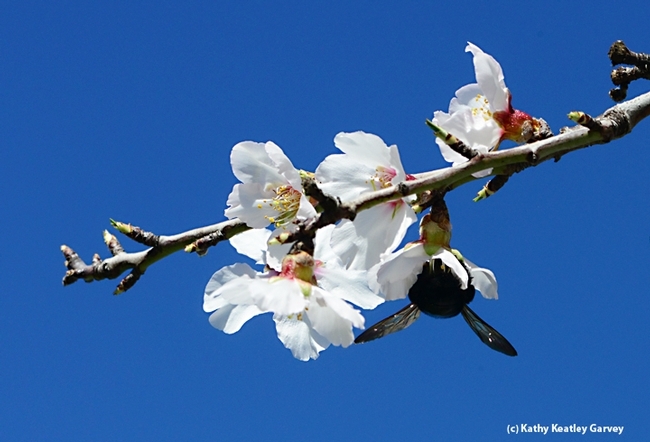 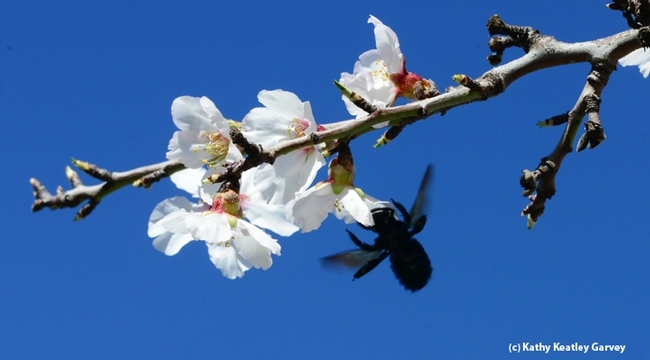 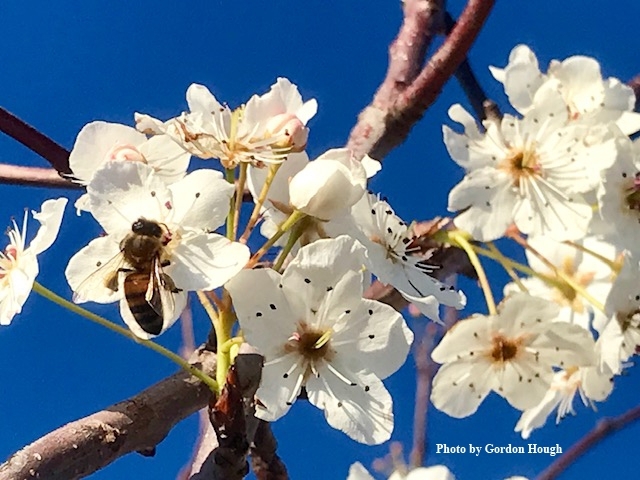 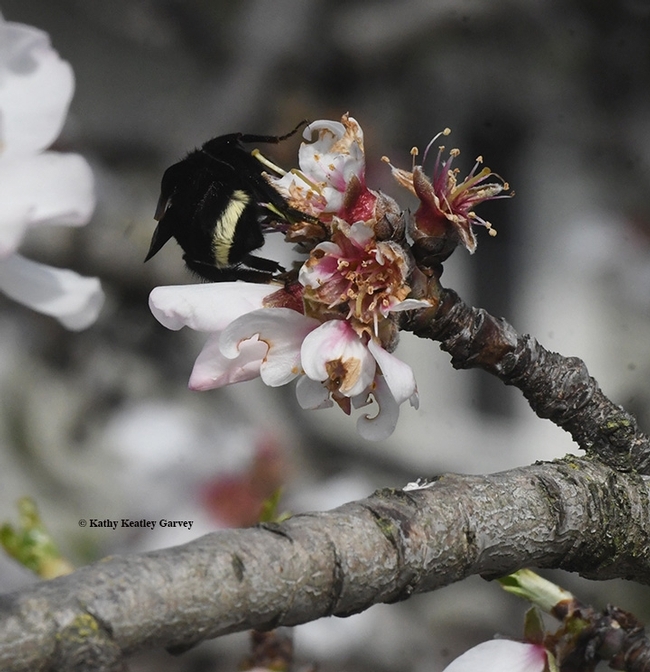 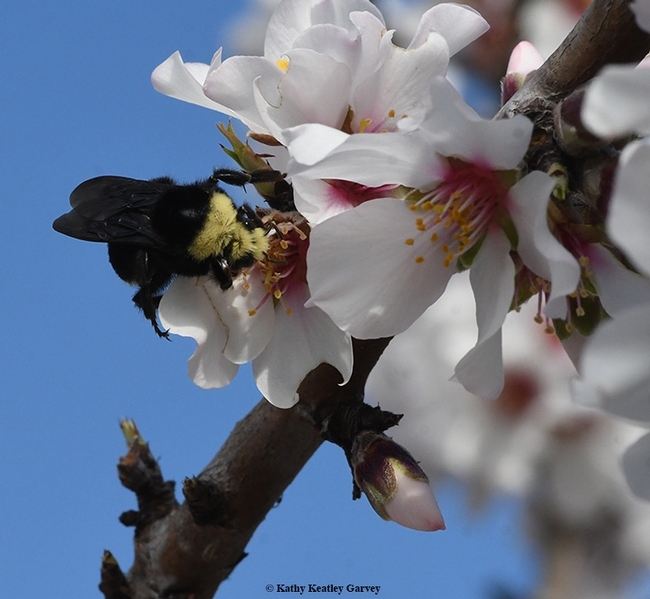 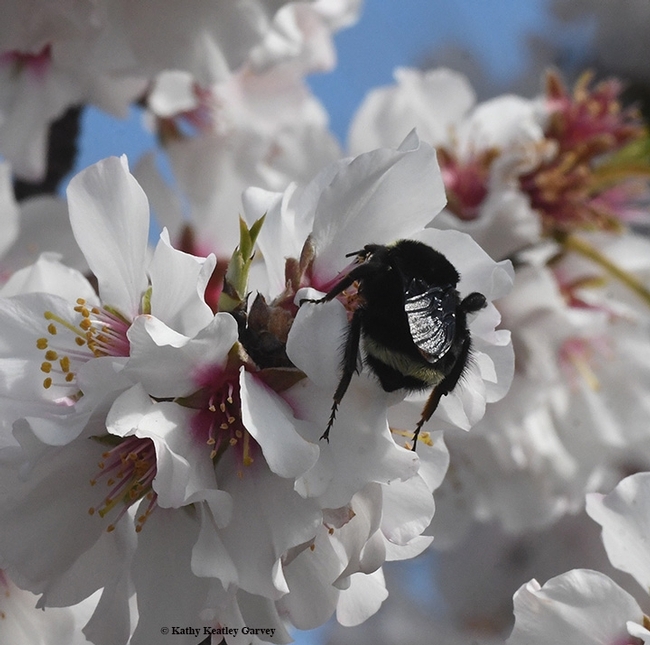 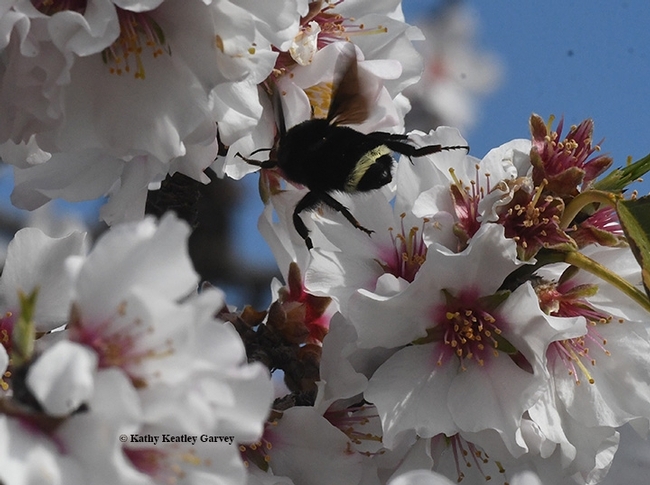 Benicia resident Gordon Hough captured this image of a bee nectaring on a Pyrus calleryana (Bradford pear or another cultivar) at the Benicia State Recreation Area on Monday, Jan. 21, as identified by Daniel Potter, UC Davis professor of plant sciences. 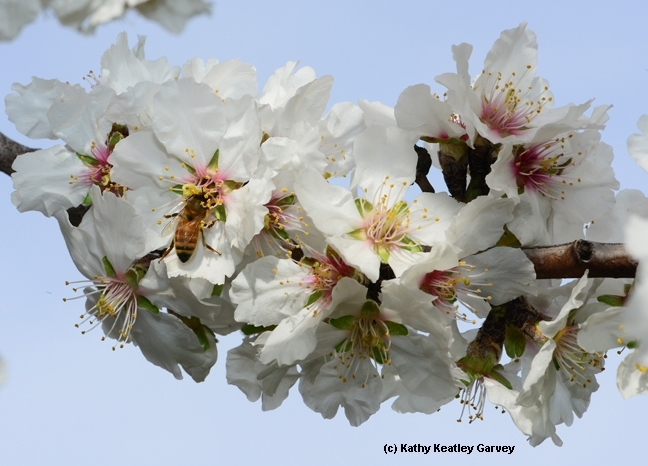 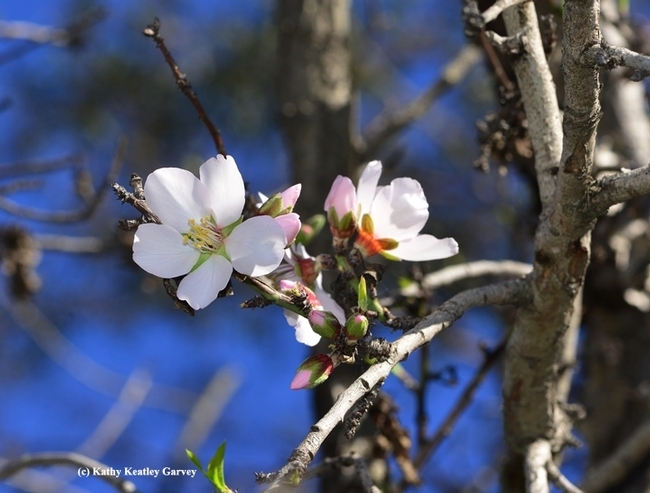 The Almonds Are Blooming! 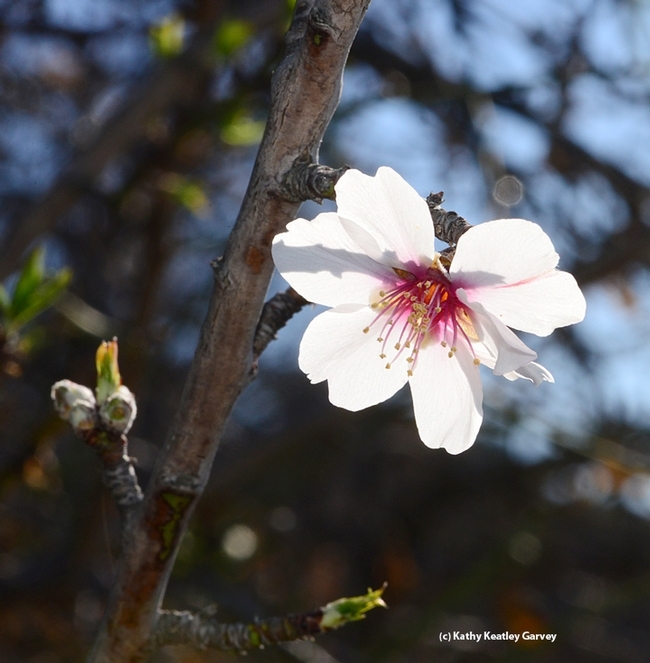 The Almonds Are Blooming!